Send an amazing good morning happy wednesay ecard to your boyfriend/girlfriend, husband/wife, family members and friends to make them understand that he/she is the first thing you remember on the beginning of the day. Use this colorful egreeting image with the quote "Wish You All A Joyous and Blessed Day. 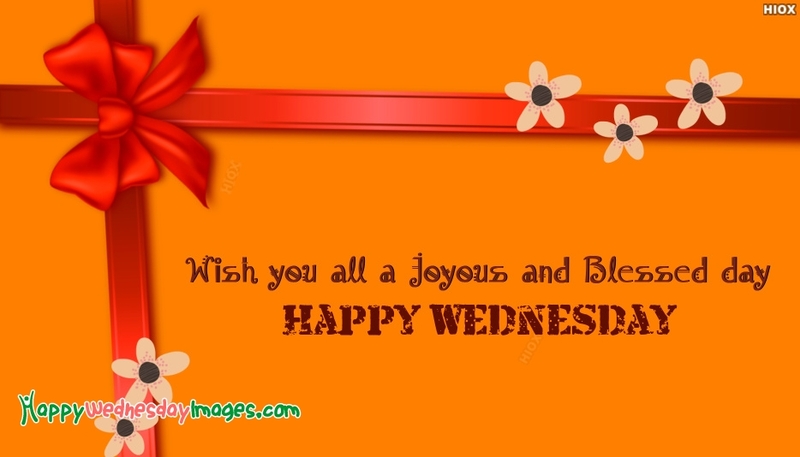 Happy Wednesday through any social media page of your interest.